All artists, whether you create work professionally or just as a passion, have their own toolkit of accessories and supplies they rely on to help them make their projects. While there are plenty of great accessories out there that can be effective in helping you work, it can take up quite a bit of space to have them all stored at home. For this reason, it’s sometimes best to let a machine do the work for you, and replace the many accessories you might have lying around. What you need is an efficient machine that allows you to scan, create, design, and cut from various materials and save yourself time and energy in the process. However, finding something like this that won’t break the bank can be hard to do. Brother is known for creating digital devices that help you create, and that’s exactly what they’ve done with the ScanNCut 2 Machine. This is a cutter that can work with a range of materials, to let any type of artists create whatever their imagination can produce and do so with ease. If you’ve been shopping around for a quality cutter, but don’t have the funds for something large scale and industrial, this could be the product for you. With this handy device in your toolkit, you’ll be given greater freedom to create just about anything you can imagine, from arts and crafts to beyond. As one of the market leaders in printing and imaging devices for the home and office, Brother has succeeded again with their ScanNCut 2 Machine. This appliance has been made specifically to allow artists and designers edit and design their own data for cutting, so it has far greater capabilities than most stand out vinyl cutters. This device is able to cut from a range of materials with a German carbide blade, so whether you want to create your own designs or use the 600 pre-programmed ones in the machine, the ScanNCut 2 by Brother can do it all. When compared to a standalone vinyl cutter, the Brother ScanNCut2 machine has a lot more freedom to the types of materials you can work with. Vinyl, plastic, fabric, paper, and transfers are all possible with the Brother SccanNCut2, so it can give you a lot more than a machine made for just one purpose. This makes it ideal for artists and craft lovers who work with a range of media. 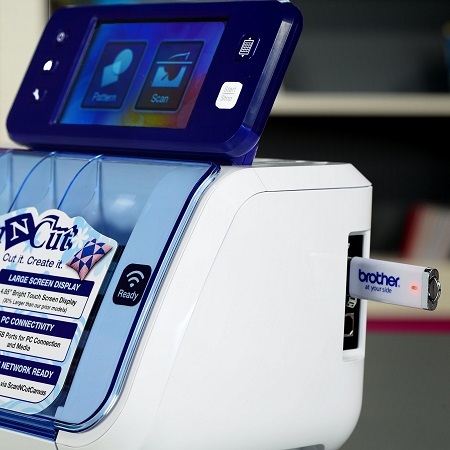 The Brother ScanNCut2 comes with over 600 pre-programmed designs, however, it also features a quality scanner that lets you load your own work. This means you have the freedom to create anything you choose and gives you a lot more flexibility when compared to other vinyl cutters. Some of the users of this machine have said the app and software could use a little work, as it’s not as intuitive as it could be. There is a little more work required by the user than you’ll find it other machines, but it can be to your advantage as you’re able to configure things exactly as you need. This small issue with the software aside, this is certainly one of the easier vinyl cutters to use. This ease of use is another of its strong points, and when compared to bulky and industrial style cutters you’ll find it a lot easier to get a hang of. There are plenty of official and unofficial YouTube tutorials available for the Brother ScanNCut2, so if you’re willing to put in a bit of time to learn you will be able to master the device completely. 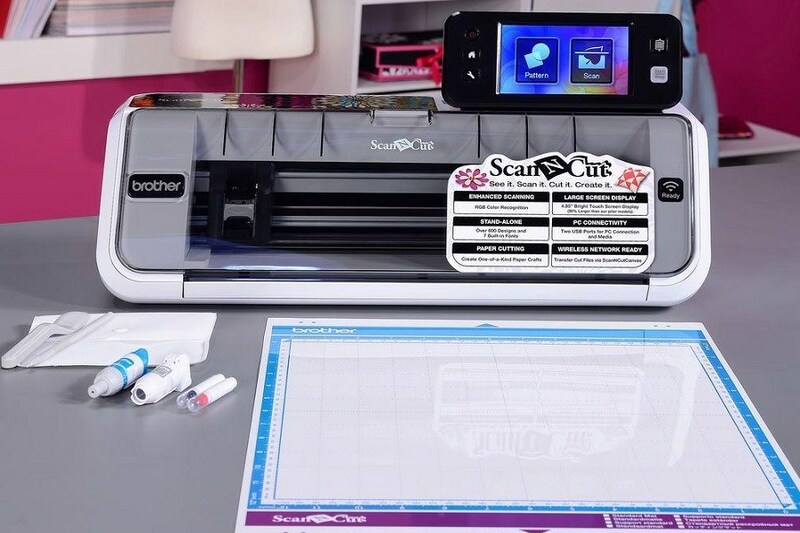 When you’re ready to improve your scanning and cutting skills with one simple device, the Brother ScanNCut 2 can be found for a great price online. Currently, Amazon has this machine available for under $300 with the software and activation card included, which is a huge discount compared to buying in store. Amazon will ship this for free straight to your door, and if you’re interested in express postage you’ll be able to start working with your new Brother in just two days. This express shipping option is even free for Amazon Prime members, so it might be worth your while to sign up. Brother offers a two-year limited warranty on their ScanNCut which covers it for most electrical and mechanical faults. 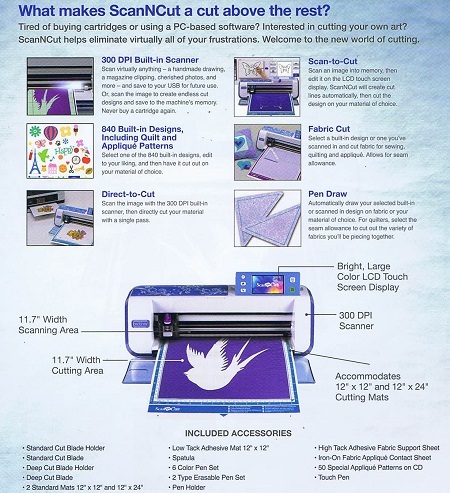 For any artist or crafter who uses their cutter regularly, this is a great warranty period to take advantage of and especially when you consider the reduced cost of the machine. If you’ve been searching for an easy to use and reliable cutter to work with a range of materials, the Brother ScanNCut2 machine is for you. Not only are you able to create from a number of pre-programmed designs, but the high-performance scanner lets you cut using your own designs too. 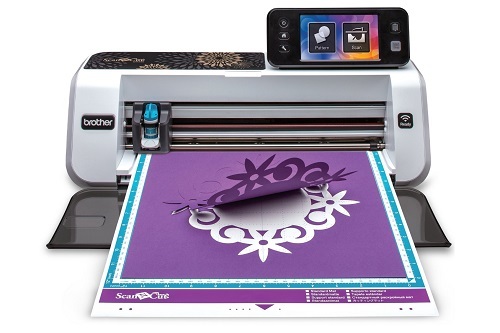 To invest in this quality vinyl cutter for your home workshop, purchase the Brother ScanNCut2 machine. With just this one device, you’ll be able to cut through vinyl, fabric, and paper with ease, and open up a whole new world of possibility for your arts and crafts.